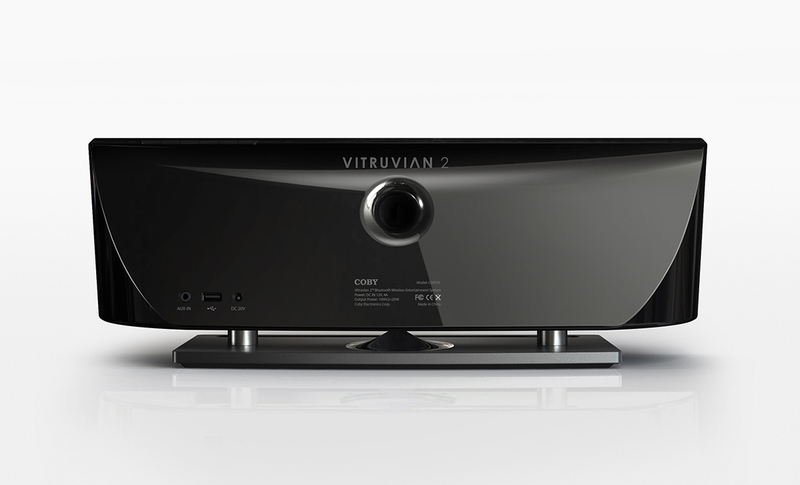 The goal was to create a premium Bluetooth wireless entertainment system that combines high-quality audio engineering and a unique design architecture to meet its function at an exceptionally affordable price. The emphasis was on portability through compaction without sacrifice in sound quality for music, TV episode, movie and game entertainment. 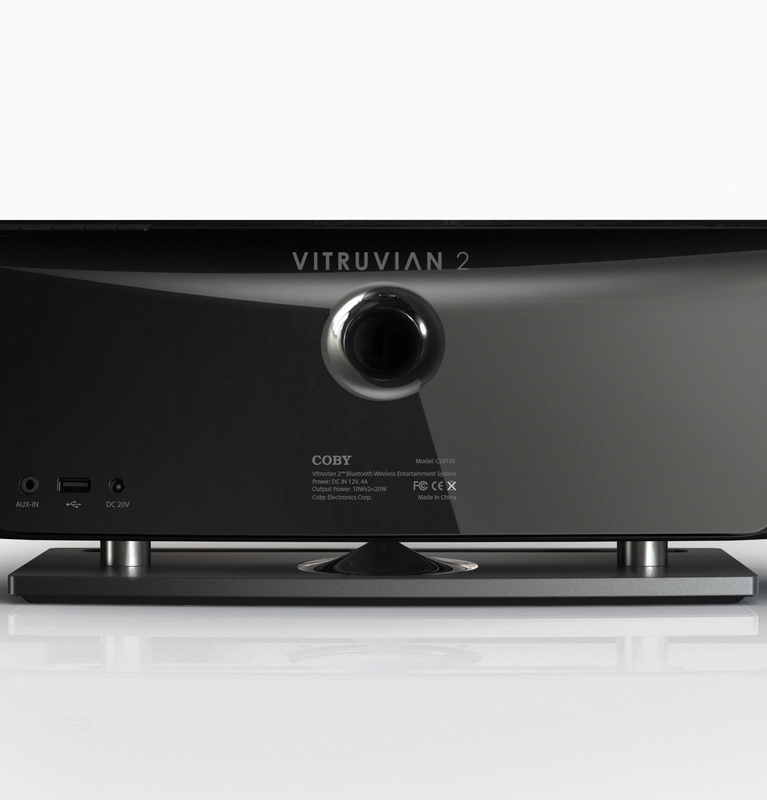 VITRUVIAN 2 re-wrote the rules for Bluetooth speaker system. It retains its form factor of the original Vitruvian shape, but it's been completely redefined structure, sound and chamber design. 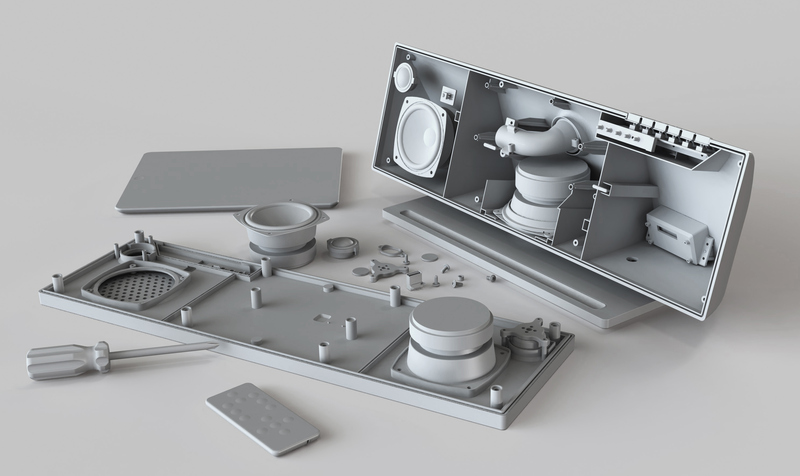 The design layout deeply considered the vibration potentials, and placed the PCB board on the base compartment and used real brushed stainless steel columns to reduce vibration and increase stability of sound. The sound chamber (cylinder tube of air) design also increases frequency response and sound pressure level to improve resonances in the audible range. 20W total output power with full-range five drivers (Tweeter x2, Mid-range x2, and Subwoofer) delivers high quality and pristine sound. 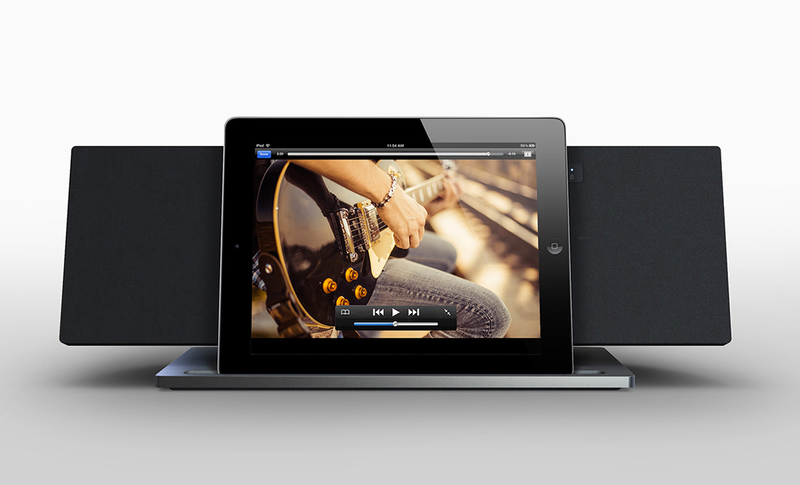 It has improved dynamics, punchier bass and a more open, lifelike presentation with superb room-filling sound. 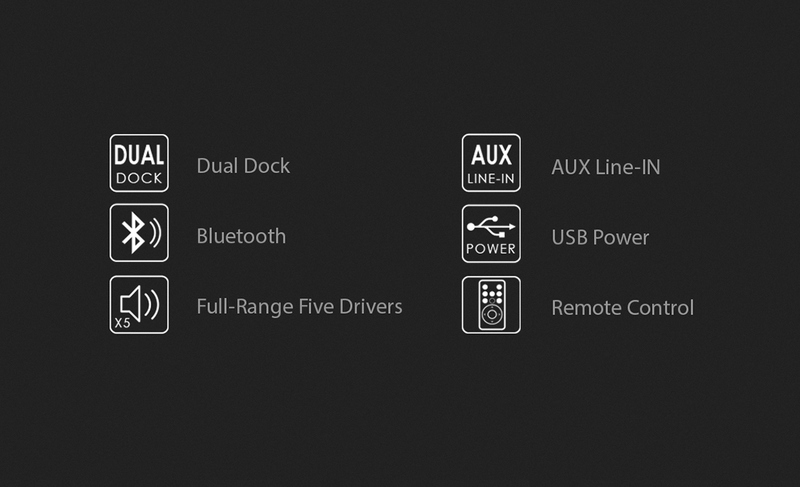 Its Bluetooth feature allows you to stream high-quality audio wirelessly directly from any Bluetooth device, such as a smartphone, tablet and laptop. The design and layout takes into consideration all Apple, Android and Windows products. A rubber standing slot accommodates various models and sizes. The adaptability of the system extends beyond simply streaming, however. 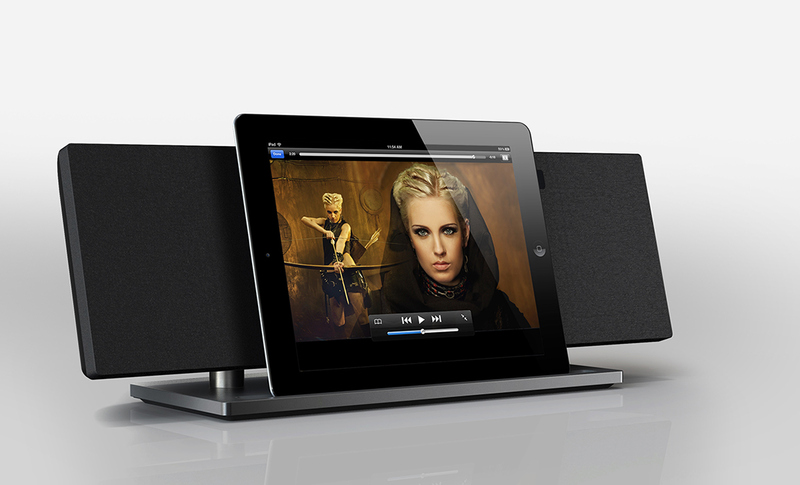 AUX and USB ports allow you to play and charge at the same time for any audio device. Its unique element is highlighted through a simple architecture with real brushed stainless steel on support column; the product as a whole gives high end and solid look and feel. 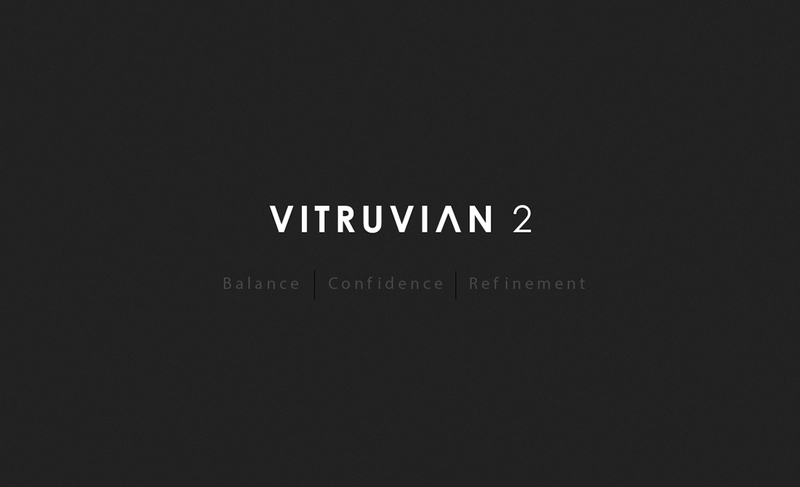 The result after continual defining effort achieves our design goal: “Balance, Confidence and Refinement”. 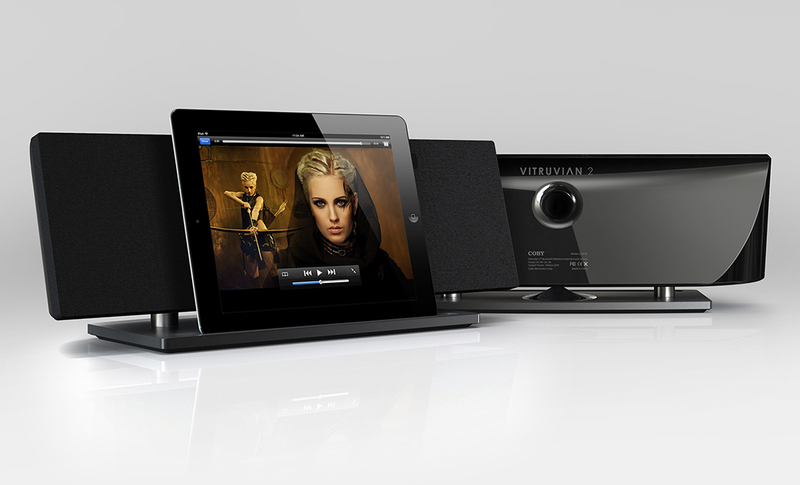 VITRUVIAN 2 is a complete wireless entertainment system. 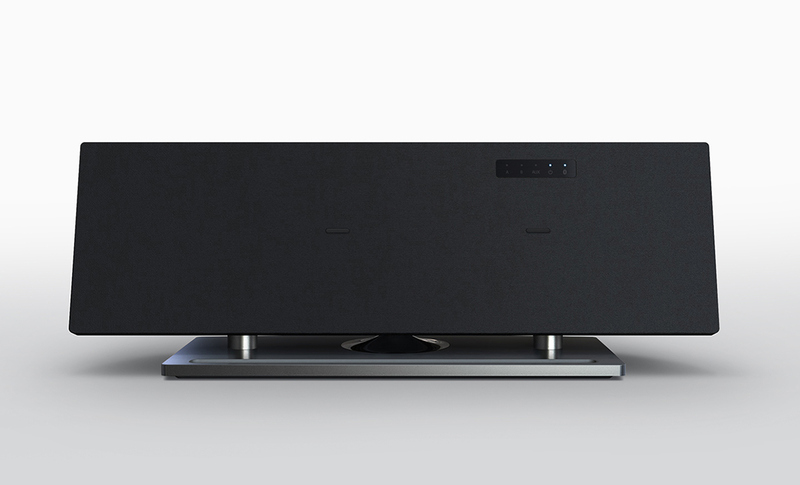 This system will elevate audio quality to the next level to create all-new levels of audio experience in your room or kitchen for your music collections, TV episodes and movies.